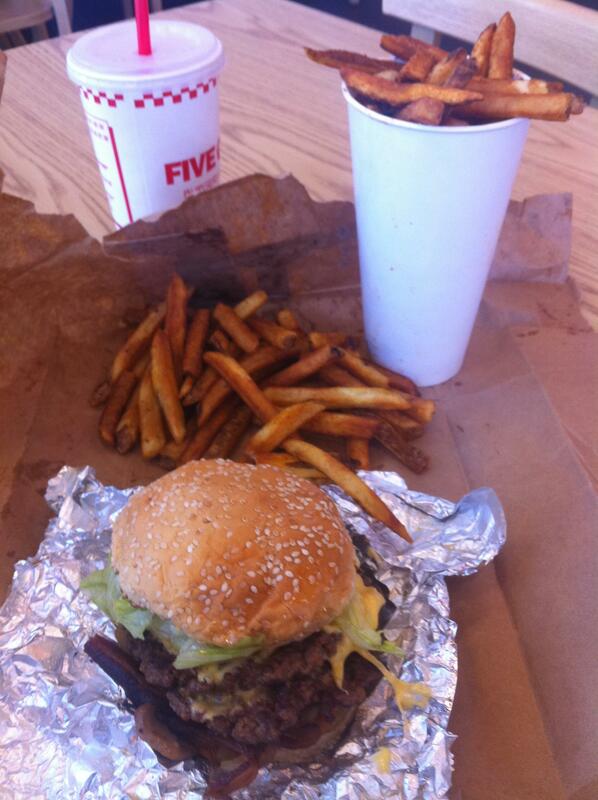 My first trip to Five Guys. They make a darn good burger. I order mine with A-1 and jalapeños. Yum.